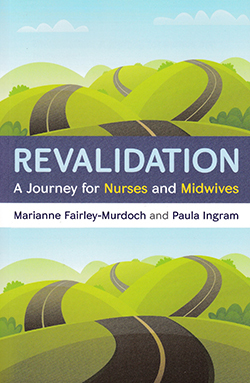 While I would recommend it to registrants wanting a comprehensive understanding of revalidation and underpinning in-depth theory, there are a few annoying and confusing aspects. Continuity in wording is lacking: ‘fitness for practice’ and ‘fitness to practise’ are both used. The introductory chapter lacks focus, but those on continuing professional development (CPD), feedback, reflection, reflective discussion and confirmation are informative. Excellent examples of CPD and feedback are provided, although the section on the latter lacks clear guidance in linking to the NMC code. Reflection is demystified – models of reflection are explored and all sections are clearly underpinned by theory.